Adobe Lightroom is the post production tool of choice if you are looking to give your images the ultimate lift. The power of the application is enormous and its range of available tools is vast. 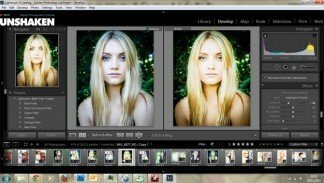 If you are looking to get the most out of Adobe Lightroom then our 1:1 or 2:1 day is the perfect solution. We start the day by understanding your current skill level (if any) before working our way through the Library and Develop modules. By the end of the course you will be able to navigate your way around the program, utilise the key tools and manipulate your images to a range of different finishes. Our Lightroom courses are run on a 1:1 basis or with small groups and can be run in Essex, Cambridge, Kent, Hertfordshire & London. No prior knowledge of Lightroom is expected or required – you do not even need to own a copy.